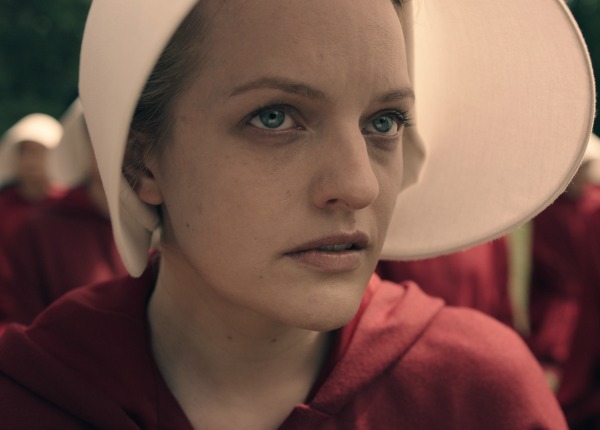 Peabody Award Entertainment Winners Include "The Handmaid’s Tale," "SNL," "Insecure"
The Peabody Awards Board of Jurors revealed nine Entertainment winners, including Children’s & Youth, for programs released in 2017. Honorees include a dystopian look at the United States, a 1950s female comedian who runs afoul of decency laws, innovative reflections on diversity from up-and-coming voices, and satirical television at its finest. The Peabody Awards are based at the Grady College of Journalism and Mass Communication at the University of Georgia. Among the honorees are "The Handmaid’s Tale" (Hulu), "Hasan Minhaj: Homecoming King" (Netflix), "Insecure" (HBO) and "Saturday Night Live" (NBC). Additionally, an Institutional Award will be presented to The Fred Rogers Company in recognition for carrying on the legacy of its eponymous founder, whose iconic children’s program debuted 50 years ago. In the history of American TV personalities, few have been as universally loved as Fred McFeely Rogers. As creator and host of “Mister Rogers’ Neighborhood,” Rogers inspired his audience with gentle lessons on the importance of mutual respect and the fun that comes from being good, warm, caring people. The program earned a Peabody Award in 1968; Rogers himself was given a personal Peabody many years later in 1992. He died in 2003, but his spirit lives on through The Fred Rogers Company. With its partners, the company continues to produce high-quality, thoughtful educational television, including “Daniel Tiger’s Neighborhood,” “Peg + Cat,” and “The Odd Squad,” that cares not only about the children who watch it, but the adults they will become. Through these programs and their many associated apps, websites, and other platforms, the memory of Fred Rogers gloriously endures, educating and engaging new generations of kids. Representatives of the company will join fellow Peabody Award winners, including Carol Burnett, recipient of the first-ever Peabody Career Achievement Award, at a celebration on Saturday, May 19 at Cipriani Wall Street in New York. Hasan Minhaj, comedian, writer and senior correspondent on Comedy Central’s “The Daily Show with Trevor Noah,” will serve as host. Winners in News/Radio/Public Service programming will be announced on April 24, which will round out this year’s Peabody 30.